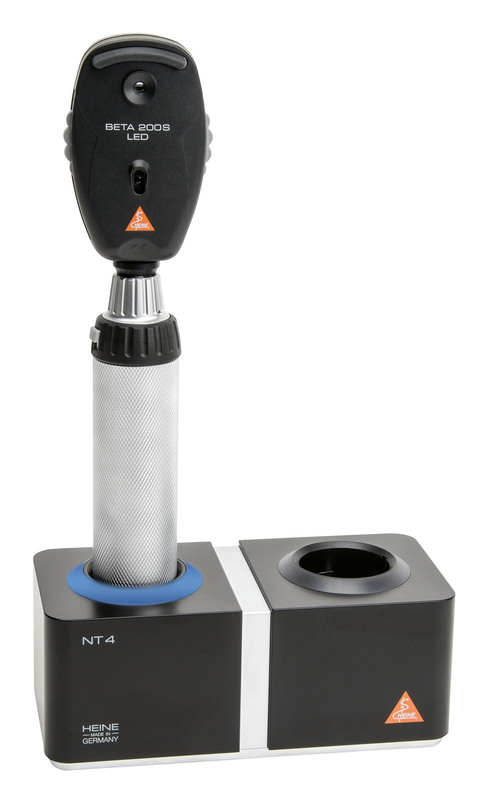 BETA4 NT and BETA4 SLIM NT for NT4 table charger. ▶ Li-ion technology: no „memory effect“. 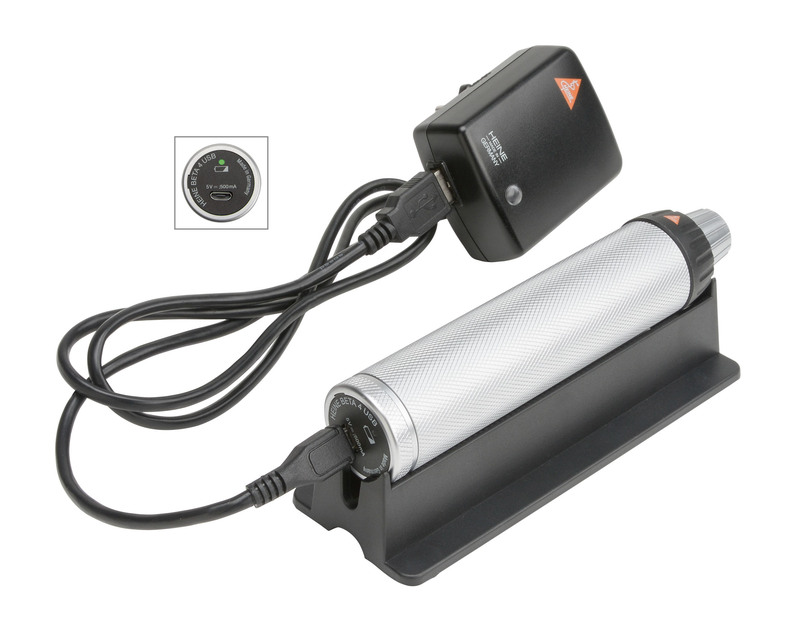 Charge your handle how you like without worrying about charge level or battery condition. 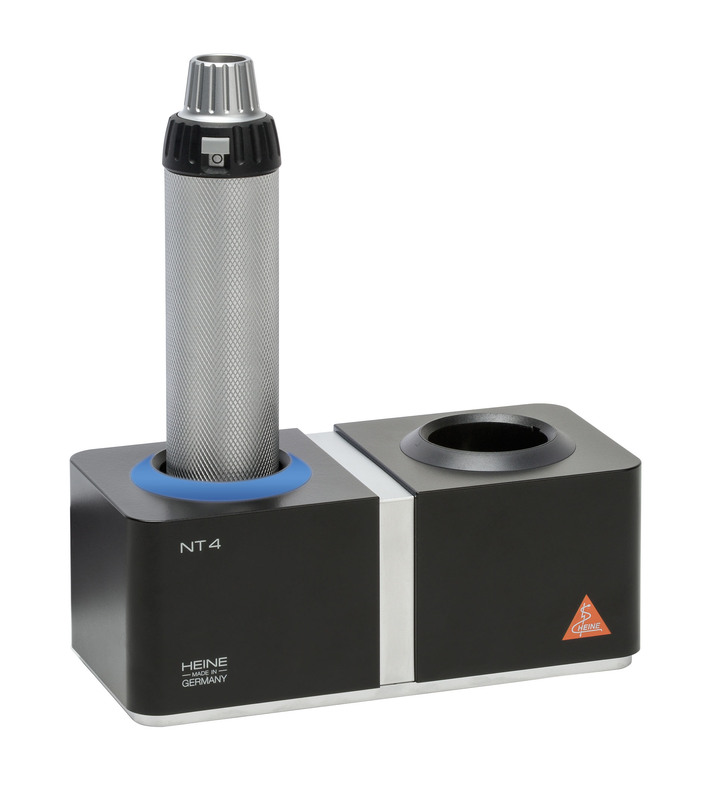 ▶ High capacity: more than double the capacity compared to previous NiMH rechargeable batteries. ▶ High quality metal construction for strength and durability. ▶ Quick charge: only approx. 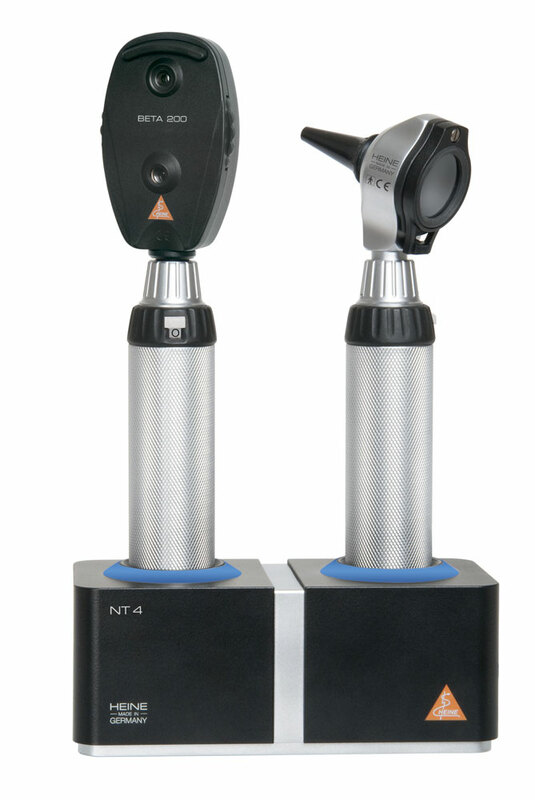 2 hours to recharge with NT4 table charger. Charge Status Indicator: light pulses from the illuminated charging wells indicating the charging mode. Continuous light indicates that the charging process has been completed. 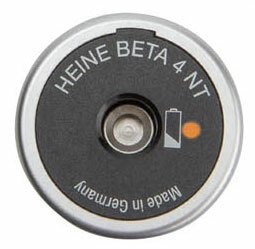 ▶ Charge Status Indicator on the BETA4 NT bottom insert: the indicator illuminates in orange when the battery needs to be recharged. ▶ Maximum safety and flexibility. 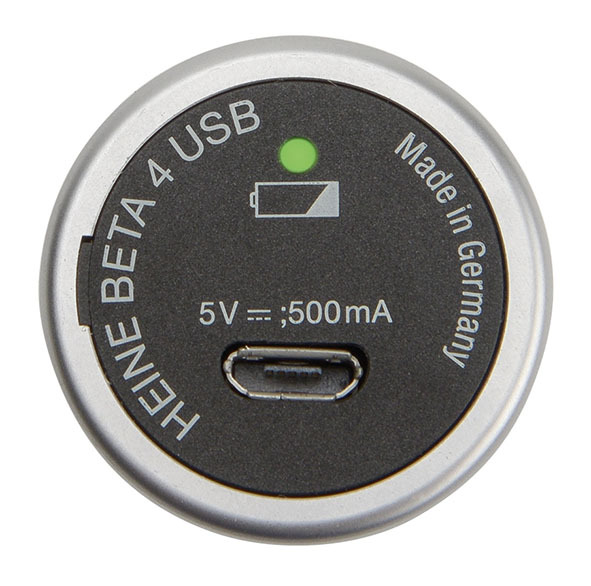 You can charge your HEINE BETA4 USB Handle with any USB plug or other USB power source, with absolute peace of mind. 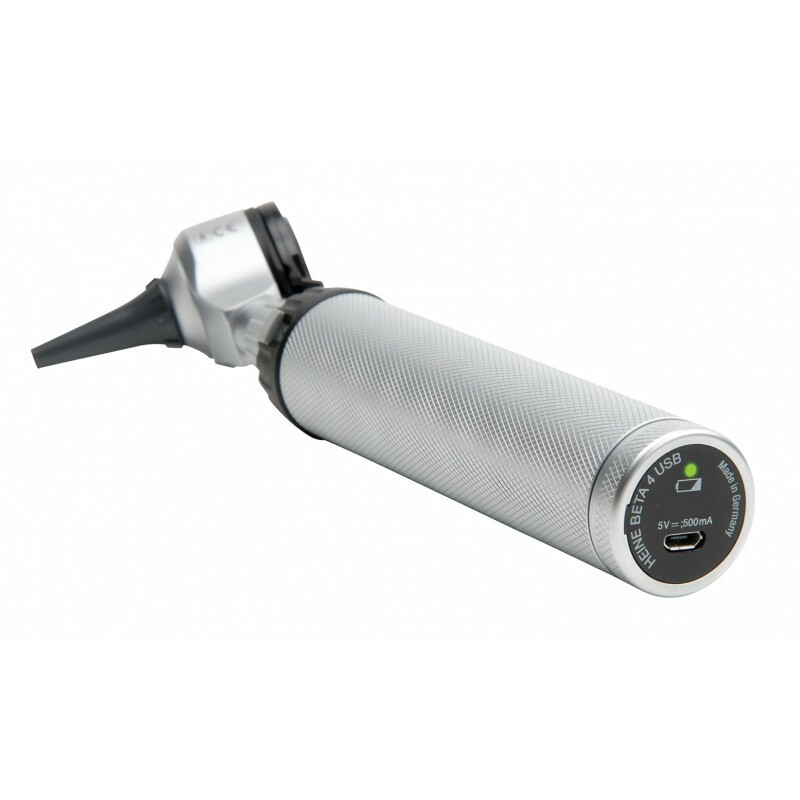 The integrated, exclusive Galvanic Separation Module protects the handle, and the user, even if a faulty or inferior plug is used, preventing the possibility of the full mains voltage flowing directly to the handle. ▶ Li-ion technology: no “memory effect”. 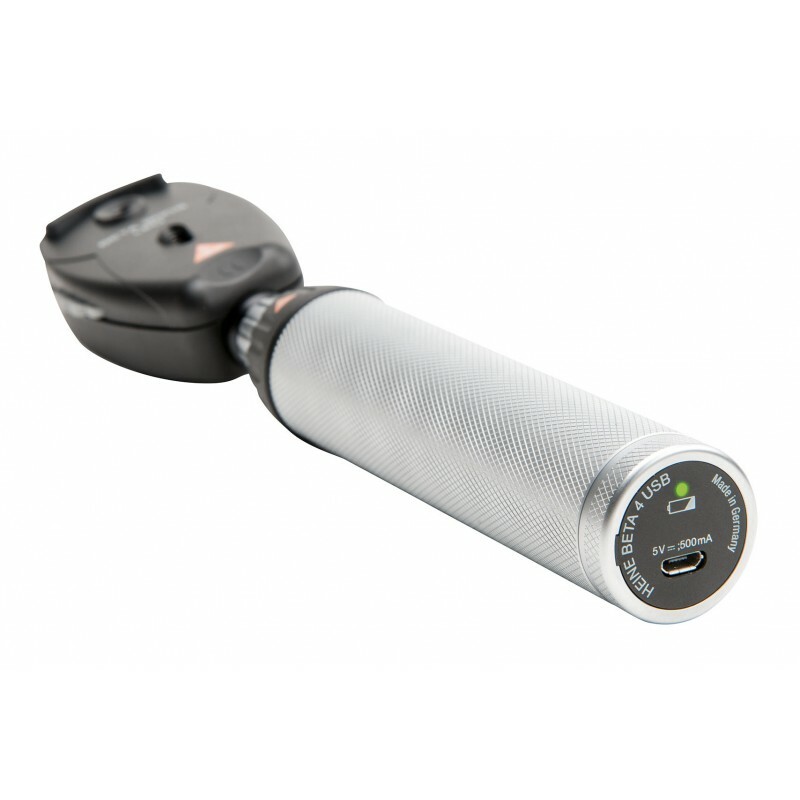 Charge your handle how you like without worrying about charge level or battery condition. High capacity: more than double the capacity compared to previous NiMH rechargeable batteries. ▶ Quick charge: approx. 4 hours to recharge. ▶ Charge Status Indicator: the indicator illuminates in orange when the battery needs to be recharged, blinks green during the charging process and turns permanently green as soon as it is fully charged.